As we have written here often, the message being beamed at the Palestinian Arab masses about the Arab stabbers, rammers and shooters engaged in a frenzy of Arab-on-Israeli attacks since September is that the perpetrators are "martyrs" and that the attacks are "alleged" and "suspected". Ma'an News Agency, which has unrealized pretensions to being a serious journalism channel, has been fanning the flames of support for more terror via the steady drumbeat of disingenuous reporting of non-existent doubts about the intentions of the attackers stopped by Israeli security. Today, under the heading "Israel to hand over bodies of 23 slain Palestinians, 17 from Hebron", Ma'an publish this piece of despicable, agenda-driven "reporting". 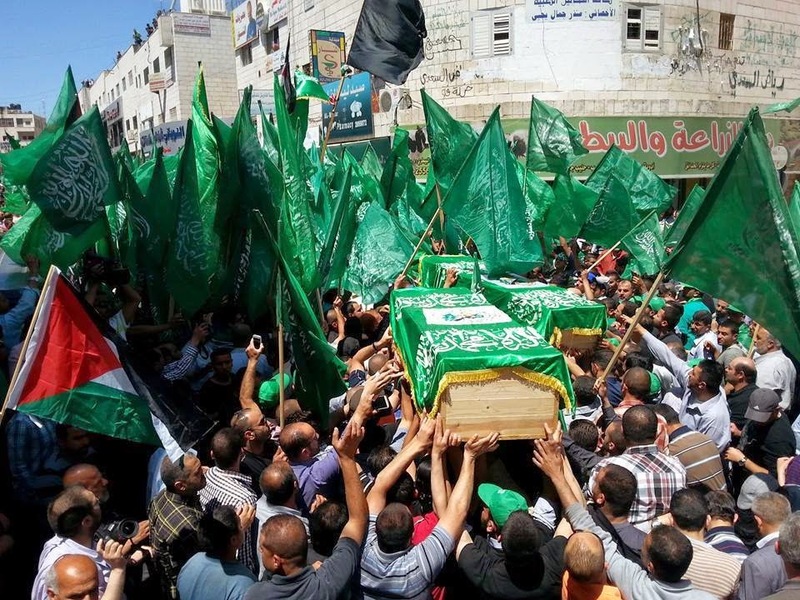 It's a story about Israel delivering the bodies of 17 dead Palestinian Arabs today, all of them eliminated in the course of attacking Israelis in the past few months. The Palestinian liaison said the bodies were expected to be delivered Friday afternoon... During a Knesset meeting on Nov. 5, Israeli Defense Minister Moshe Yaalon said that “holding onto bodies is in itself not a deterrent to potential terrorists,” announcing that bodies would be returned on a “case-by-case basis.” Bodies have since been handed over conditionally, with Israeli authorities demanding the bodies be buried immediately following their handover and that funerals be limited in attendance... The Palestinian Ministry of Justice has reportedly adopted a resolution to perform autopsies on the bodies of all Palestinians killed by Israeli forces in effort to document “Israeli crimes.” Sabir al-Alou, a coronor responsible for performing autopsies on a number of slain Palestinian and head of Al-Quds University's Institute for Forensic Medicine, told Ma’an Thursday that Israel has returned the bodies full frozen, making immediate autopsies before burial impossible. Portraying themselves as victims has enabled Palestinian Arabs at large, and their society, to ignore the daily reality of the death-cult values they have permitted to engulf them. By completely failing to acknowledge how children, girls, mothers young and old, as well as young males with most of their lives still ahead have bought into the message of martyrdom and murder beamed from the highest rungs of their society's ladder, they ensure it keeps happening. Dark, unspeakable "crimes" done to dead Arabs are a small, fiendish refinement on the self-destruction going on across Israel's Palestinian Arab border. Their best-known foreign-language news outlet might have been expected to keep out of that swamp, but the attractions of burying themselves in that muck were evidently too compelling to resist.